Oliver Bonas in Clapham, south-west London. The retailer employs 500 staff across its 43 shops and warehouse. Campaigners against low pay are claiming a breakthrough victory as Oliver Bonas, the fashion and gift retailer, has become the first high street chain in Britain to promise its staff an independently calculated living wage. Employees aged 18 and over will from Tuesday receive at least £7.85 an hour, or £9.15 in London – figures calculated based on the cost of living. This compares with the national minimum wage of £6.50 an hour for over-21s and £5.30 for workers between 18 and 21. Oliver Bonas employs 500 people across its 43 shops and its warehouse in Chessington, Surrey, rising to 650 over the Christmas period. Rhys Moore, director of the Living Wage Foundation, said the move was a “significant milestone” that would help “end the low wage culture of the British high street”. Jobs on the high street, and in customer service, are some of the lowest paid in Britain, according to official figures. Many large employers have softened their resistance to calls for pay rises in the light of government plans to impose steady increases in the statutory minimum wage over the next five years. Last month Ikea pledged to meet campaigners’ calls to pay the living wage, becoming the first large, out-of-town retailer to do so. The Living Wage Foundation has accredited more than 1,700 companies, including about a quarter of the FTSE 100 and other big businesses such as Nestlé and Nationwide. Until recently, however, the retail industry has been unmoved by campaigners’ arguments. In his summer budget, George Osborne surprised many by announcing that the minimum amount employers must pay staff aged over 25 was to rise to £7.20 an hour from April next year. The figure would then climb to £9 by 2020, he said. The chancellor argued the measure was part of a strategy to boost productivity, remodelling Britain as a “higher wage, lower tax and lower welfare” country. But not all business leaders have welcomed Osborne’s intervention. On Saturday former Sainsbury’s boss Justin King, a longstanding critic of the living wage campaign, told the BBC the plan for accelerated rises in the minimum wage for many workers was “not economically justified”. King’s own pay has featured in debates about spiralling boardroom rewards for those at the top of large corporations. He left Sainsbury’s last summer but received £8.5m in cash and shares during his last two years at the retailer, though most of that sum related to the release of long-term share bonuses, some granted as far back as 2008. King’s successor, Mike Coupe, announced a 4% pay increase last week, taking the supermarket’s standard rate of pay to £7.36 an hour, its highest increase in more than a decade. Elsewhere over the weekend it emerged that bondholders at Four Seasons Health Care, the debt-laden care home operator, were concerned about the group’s ability to absorb higher wage bills. “The scary part is the living wage could have a £40m effect on profits over the next five years,” one bondholder told the Sunday Times. “It is untenable.” Four Seasons, which is owned by private equity group Terra Firma, has announced a review of its finances after second-quarter losses rose to £26m. 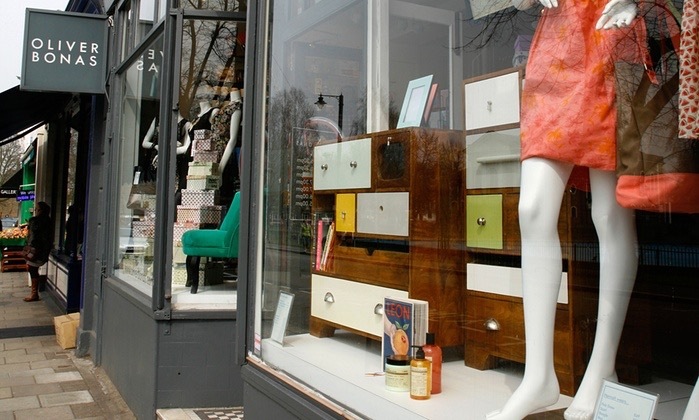 Oliver Bonas, which sells jewellery and homeware as well as fashion and gifts, reported a 9% rise in like-for-like sales for the year to 30 November 2014. Turnover grew from £23.3m to £30.3m. Posted on September 3, 2015, in #retail, #uk. Bookmark the permalink. Leave a comment.